This was once the Franklin community. It was named for the Franklin family that settled in the area. There was a school here named Franklin that the children in the Vineland community attended. This is also the area that is known as Bloomdale. The creek nearby is the Franklin Branch. The cemetery is right on the side of the road. It is a 1-acre deeded cemetery listed in Vol 3, p 553. There is an iron arch in front that says "Franklin." The cemetery itself is unfenced. 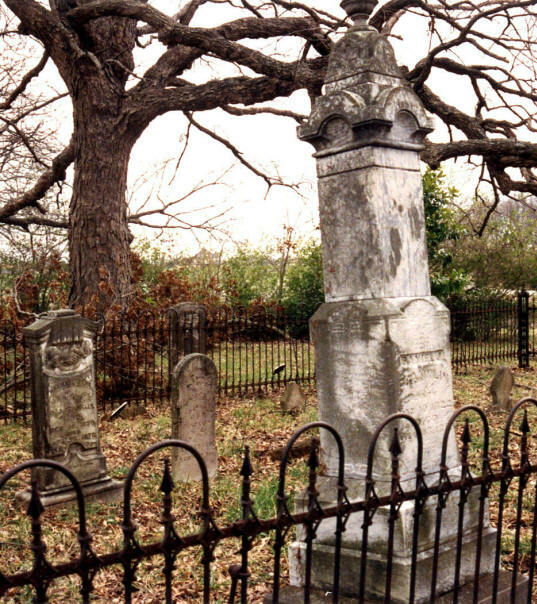 The Franklin family plot has about a dozen graves and is surrounded by a wrought-iron fence. The graves for other people are outside of the fence. The earliest grave is for a Franklin baby and is dated 1851. There is a large farm house across the street. It is believed that the people in the farm house take care of the cemetery.